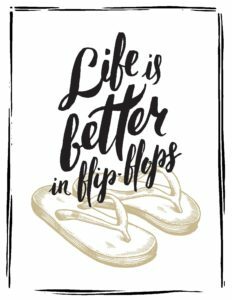 Isn’t life better in flip flops? Nothing beats putting on some sandals and heading to the beach. 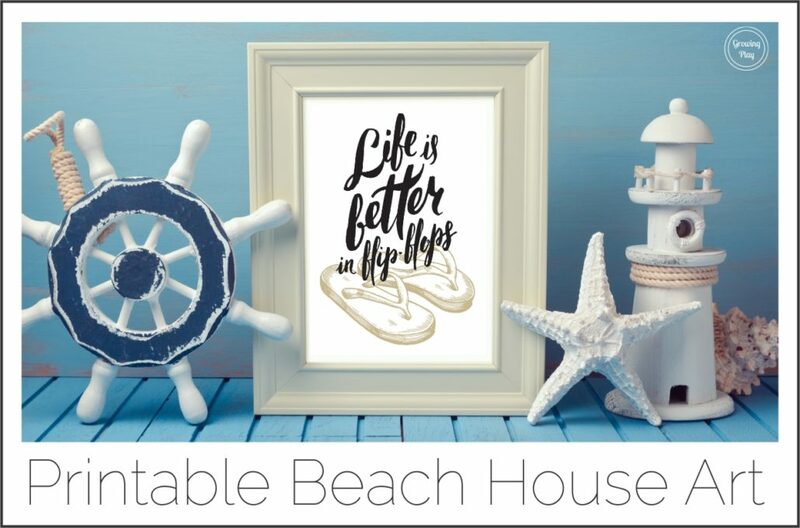 Here is a fun, pretty beach art print from the Beach Art digital download. You can download this printable below. 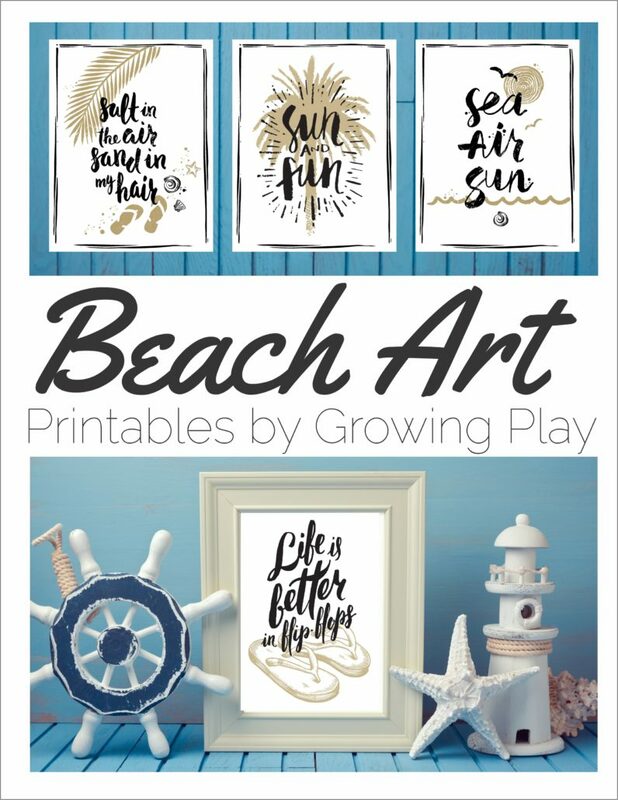 Check out the entire Beach Art Printable Pack – this includes 10 prints to download and print with a beach vacation theme. Illustrations created by vso and used under a Shutterstock license.